Colgate Chile‘s print advertising campaign, “Church”, “Opera” and “Pool”, has won a Silver Press Lion at Cannes International Festival of Creativity. 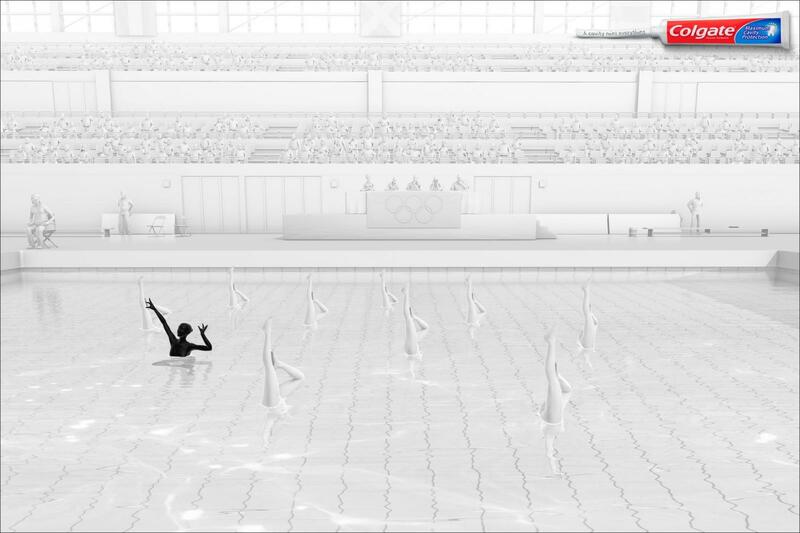 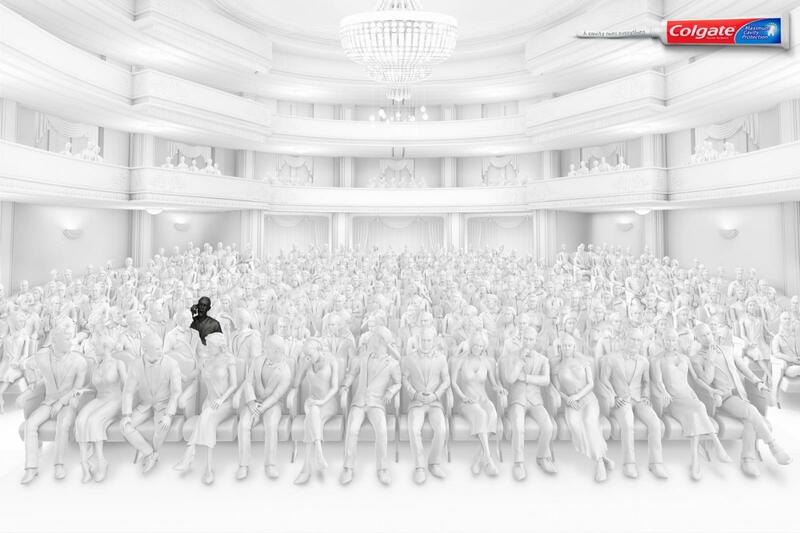 Black figures stand out in a world of white, ruining a wedding, an opera performance, and a synchronized swimming team. “A cavity ruins everything”. 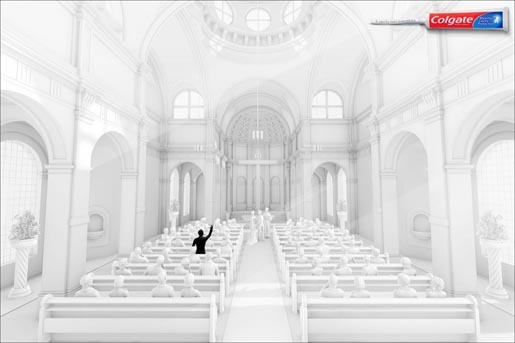 The Cavity campaign was developed at Prolam Y&R, Santiago, by executive creative directors Tony Sarroca, Alvaro Becker and Francisco Cavada, creative director Fabrizio Baracco, art directors Andres Echeverria and Cristian Costa, copywriters Fabrizio Baracco and Jaime Cerda, and illustrator Carburadores.